Trumbull wasn’t a great orator but he was a careful attorney and such details concerned him. He had been an early opponent of slavery who fought in the Illinois courts to secure its abolition in the states. He and Mr. Lincoln had not always been on the same side – in court on politics. When he faced off against Mr. Lincoln in the Illinois Supreme Court in the 1840s, he lost the three cases in which he appeared as opposing counsel. 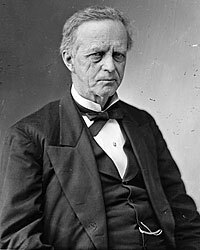 In 1848, Trumbull was appointed to the State Supreme Court by Governor Augustus C. French – for a three-year term joining Samuel H. Treat and John Dean Caton. Never wealthy, Trumbull dabbled in business – with real estate and railroad partnerships. He ran repeatedly and unsuccessfully for Congress and had been was considered as a Democratic candidate for governor in 1850. “I do not understand Trumbull and myself to be rivals. You know I am pledged to not enter a struggle with him for the seat in the Senate now occupied by him. ” Mr. Lincoln wrote Republican State Chairman Norman B. Judd on December 9, 185910 “To lose Trumbull’s re-election next winter would be a great disaster,” Mr. Lincoln wrote William Fithian on August 15, 1860.11 Trumbull was not a product of the political-legal fraternity in the Eighth Circuit that was the core of Mr. Lincoln’s support and it was natural that he saw his own political prospects as superior to Mr. Lincoln’s. 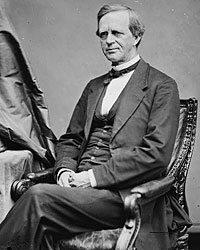 Orlando Ficklin, a long-time friend and legal associate of Mr. Lincoln, was the Democratic candidate for the Senate against Trumbull in 1860. He challenged Trumbull to a series of Lincoln-Douglas style debates. 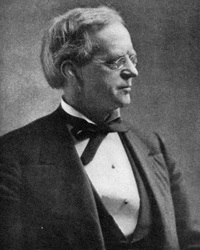 Ficklin had served in the Legislature as a Whig and for eight years in Congress as a Democrat. 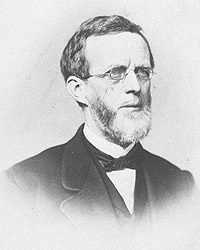 Trumbull’s brother-in-law William Jayne ran for the Senate in Sangamon County and his victory helped secure the State Senate for the Republicans. In truth, Trumbull needed Mr. Lincoln in this election and Mr. Lincoln needed Trumbull. Yours of the 3rd is just received. The democrats of our H.R. refused to make a quorum today, trying, as I understand, to prevent your re-election. I trust that before this reaches you, the telegraph will have informed you that they have failed, and you have triumphed. Gen. C[ameron]. has not been offered the Treasury, and I think, will not be. It seems to me not only highly proper, but a necessity, that Gov. Chase shall take that place. His ability, firmness, and purity of character, produce the propriety; and that he alone can reconcile Mr. Bryant, and his class, to the appointment of Gov. S[eward] to the State Department produces the necessity. But then comes the danger that the protectionists of Pennsylvania will be dissatisfied; and, to clear this difficulty, Gen. C. must be brought to co-operate. He would readily do this for the War Department. But then comes the fierce opposition to his having any Department, threatening even to send charges into the Senate to procure his rejection by that body. Now, what I would most like, and what I think he should prefer too, under the circumstances, would be to retain his place in the Senate; and if that place has been promised to another, let that other take a respectable, and reasonably lucrative place abroad. Also let Gen. C’s friends be, with entire fairness, cared for in Pennsylvania, and elsewhere. I may mention before closing that besides the very fierce opposition to Gen. C. he is more amply recommended for a place in the cabinet, than any other man. During early 1861, a coolness developed between Senator Trumbull and President Lincoln, which Trumbull felt keenly in the allocation of patronage. According to biographer Ralph J. Roske, “Trumbull felt the pressure to ‘take care’ of his friends, and each unsuccessful aspirant blamed Trumbull personally, even when the senator had done his best to obtain a place for him.”19 In truth, the Senator had not done badly – particularly for his own family. President Lincoln appointed Trumbull’s brother-in-law as Governor of Dakota and brother Benjamin M. Trumbull to Omaha land office. Combined with some appointments from Mary Todd Lincoln’s family, President Lincoln grew concerned that Illinois critics might think that all patronage was going to the Trumbull and Lincoln families. 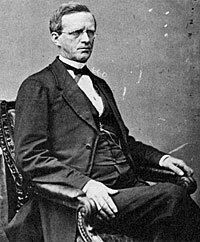 The arrival of Orville H. Browning in Washington in July 1861 as the successor to Senator Stephen A. Douglas, who had died in early June, probably did not help the Lincoln-Trumbull relationship. The Lincoln-Browning relationship was far older and stronger – dating back nearly three decades to a period when both served in the State Legislature and Mr. Lincoln got to know Browning and his wife. In contrast, Trumbull’s wife, Julia, was persona non grata with Mrs. Lincoln after having once been one of her closest friends. Comparing Trumbull to Senator Andrew Johnson in 1862, presidential aide John Hay wrote: “There is no question that John P. Hale and Lyman Trumbull far more nearly sympathize with the President on all questions of National concern than John can; yet they are always captiously criticizing or factiously opposing his movements and his plans, while Johnson supports him as earnestly as he ever opposed him.”26 In December 1862, relations between Republicans in the Senate and the President reached a crisis stage in the dark days after the Battle of Fredericksburg. “Pressed and badgered on all sides, Trumbull concluded that some action had to be taken,” wrote biographer Krug. “On Tuesday, December 16, he demanded at a caucus of Republican senators that the Senate take decisive action to save the nation from a disastrous defeat. 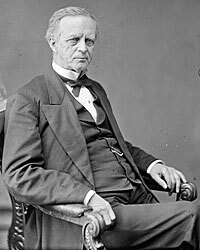 The caucus passed a resolution demanding changes in the Cabinet and sent a delegation to the White House composed of seven senators.”27 In the ensuing series of meeting, an embattled President fended off the Senators’ demand that his reorganize his cabinet, exposed a double game by Secretary of the Treasury Salmon P. Chase, and reasserted his preeminence over his Cabinet as well as Congress. 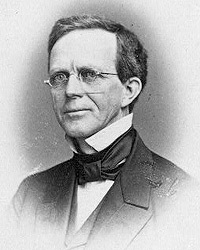 Noah Brooks, Washington, D.C., in Lincoln’s Time, p. 190-191. Douglas L. Wilson and Rodney O. Davis, editor, Herndon’s Informants, p. 537 (Letter from Samuel C. Parks to William H. Herndon, 1866). Roy P. Basler, editor, The Collected Works of Abraham Lincoln, Volume II, p. 395 (Letter to Charles D. Gilfillan, May 9, 1857). Don E. Fehrenbacher, Prelude to Greatness: Lincoln in the 1850s, p. 62. William H. Herndon and Jesse W. Weik, Herndon’s Life of Abraham Lincoln, p. 321. Ralph J. Roske, His Own Counsel: The Life and Times of Lyman Trumbull, p. 48. Ralph J. Roske, His Own Counsel: The Life and Times of Lyman Trumbull, p. 50-51. Roy P. Basler, editor, The Collected Works of Abraham Lincoln, Volume III, p. 355 (Letter to Lyman Trumbull, February 3, 1859). Roy P. Basler,, editor, The Collected Works of Abraham Lincoln, Volume III, p. 505 (Letter to Norman B. Judd, December 9, 1859). Roy P. Basler, editor, The Collected Works of Abraham Lincoln, Volume IV, p. 95 (Letter to William Fithian, August 15, 1860). Don E. Fehrenbacher, Prelude to Greatness: Lincoln in the 1850s, p. 152. Roy P. Basler, editor, The Collected Works of Abraham Lincoln, Volume III, p. 512-513 (Letter to Lyman Trumbull, December 25, 1859). Roy P. Basler, editor, The Collected Works of Abraham Lincoln, Volume IV, p. 71 (Letter to Lyman Trumbull, June 5, 1860). David C. Mearns, editor, The Lincoln Papers, p. 357-358 (Letter from Lyman Trumbull to Abraham Lincoln, December 27, 1860). Roy P. Basler, editor, The Collected Works of Abraham Lincoln, Volume IV, p. 171 (Letter to Lyman Trumbull, January 7. 1861). Carl Sandburg, Abraham Lincoln: The Prairie Years, p. 541. Mark A. Krug, Lyman Trumbull: Conservative Radical, p. 170-171. Ralph J. Roske, His Own Counsel: The Life and Times of Lyman Trumbull, p. 16. William Lee Miller, Lincoln’s Virtues, p. 312. Michael Burlingame, editor, Lincoln’s Journalist: John Hay’s Anonymous Writings for the Press, 1860-1864, p. 202 (January 22, 1862). Mark M. Krug, Lyman Trumbull: Conservative Radical, p. 214. William Lee Miller, Lincoln’s Virtues, p. 362-363. Ralph J. Roske, His Own Counsel: The Life and Times of Lyman Trumbull, p. 86-87. T. Harry Williams, Lincoln and the Radicals, (Letter from Lyman Trumbull to H.G. Pike, February 6, 1864). Ralph J. Roske, His Own Counsel: The Life and Times of Lyman Trumbull, p. 112. Justin G. Turner and Linda Levitt Turner, editors, Mary Todd Lincoln: Her Life and Letters, p. 56-57 (Letter from Mary Todd Lincoln to Hannah Shearer, June 26, 1859). Justin G. Turner and Linda Levitt Turner, editor, Mary Todd Lincoln: Her Life and Letters, p. 258 (Letter from Mary Todd Lincoln to Elizabeth Blair Lee, July 11, 1865). Ralph J. Roske, His Own Counsel: The Life and Times of Lyman Trumbull, p. 114 (Chicago Record, June 26, 1896). Michael Burlingame, Abraham Lincoln: A Life, Volume I, p. 403. Michael Burlingame, Abraham Lincoln: A Life, Volume I, p. 166.